Microsoft has today announced the launch of its new all-in-one PC called the ‘Surface Studio’, featuring a super-thin 28″ PixelSense 3:2 ratio display, an Intel Core processor, a 2TB hybrid hard drive, an NVIDIA GPU, integrated 2.1 speakers and a haptic feedback controller puck device (via TechCrunch). 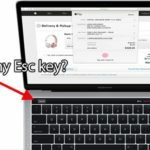 What makes the Surface Studio unique is a hinge on the back of the computer, designed to make the touch display “more flexible for creativity”. 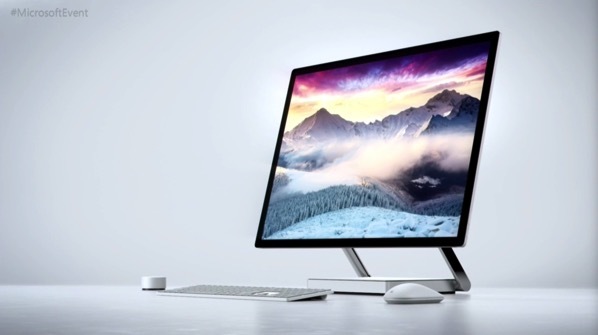 Surface Studio comes with four USB 3.0 ports, Ethernet, Audio, SD and Mini DisplayPort (no Thunderbolt) and the new radial input Surface Dial with haptic feedback. 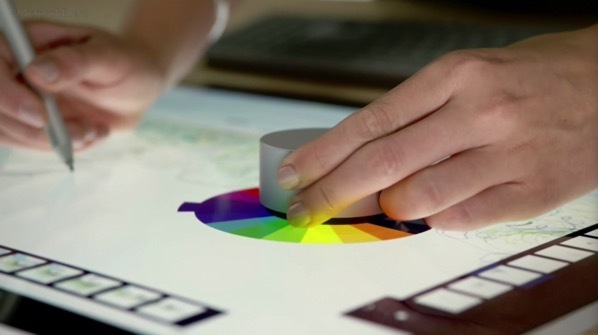 The display also includes a feature Microsoft is calling “TrueColor” which allows creators to “render the world… as he or she believes it needs to be rendered.” Surface Studio also supports Surface Pen, while the new Surface Dial input device works with the screen intelligently, giving you software tools like color sliders in various apps. Surface Dial also works with Surface Book, Surface Pro 3 and Surface Pro 4 for off-screen functions. 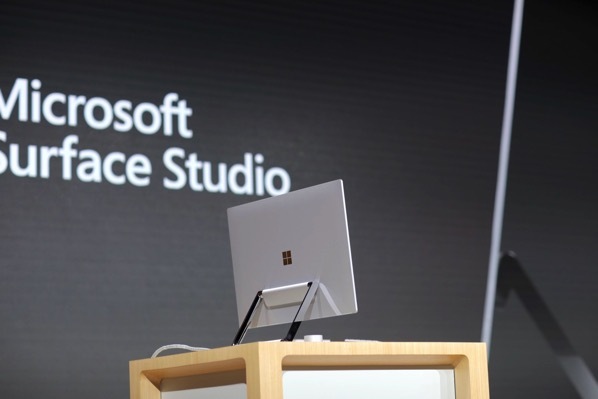 A demo of the Surface Studio’s creative prowess included a demo from Madefire founder Ben Wolstenholme, who used it to create a thumbnail for an animated comic for his app. “It’s amazing to me that Surface Studio makes it possible for me to have my entire creative workflow in one place,” Wolstenholme said. Surface Dial is open to developers, letting them create on-screen use cases that make it possible to use it to do things like change color while you’re actually in the act of digital painting, or adjusting scale and switching between tools on the fly. You can pre-order the Surface Studio online right now starting at US $2,999, while the Microsoft Stores will be getting them on October 27 for hands-on demos.